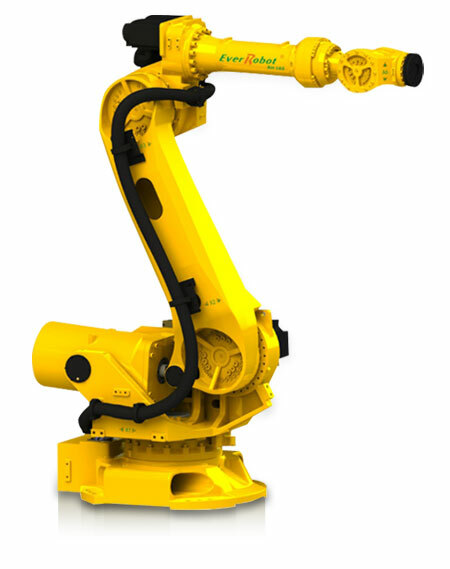 CNC Robot Arm Manufacturer - High Payloads - Evermore Machine Co., Ltd. This high payload industrial robot is very rigid and suitable for the handling of very heavy-duty materials up to 160kg. With high accuracy and strength, this heavy-duty robot arm can handle large castings, car body frames, and other bulky materials.